Savor Chinese food that will combine many elements of culinary traditions. 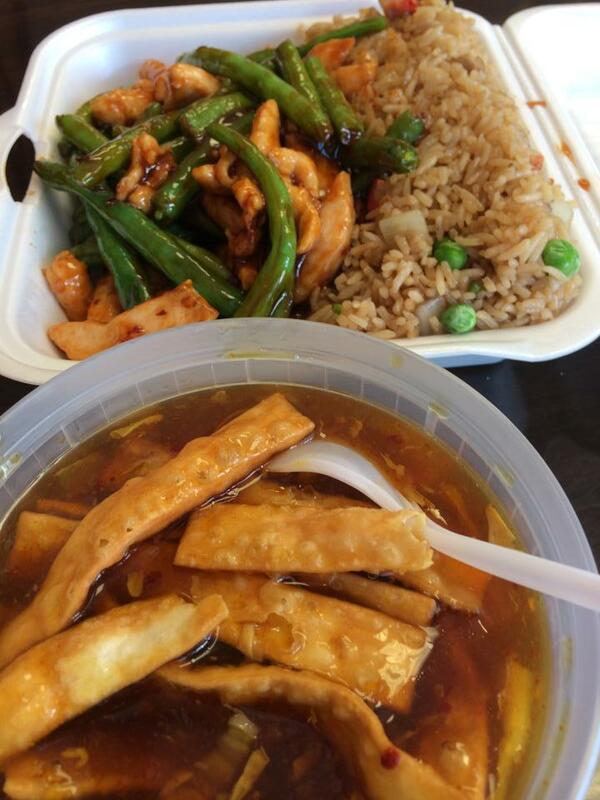 Take a break and try tasty orange chicken, soup and steamed dumplings. Degust delicious bourbon. At this restaurant, you can order a takeout. 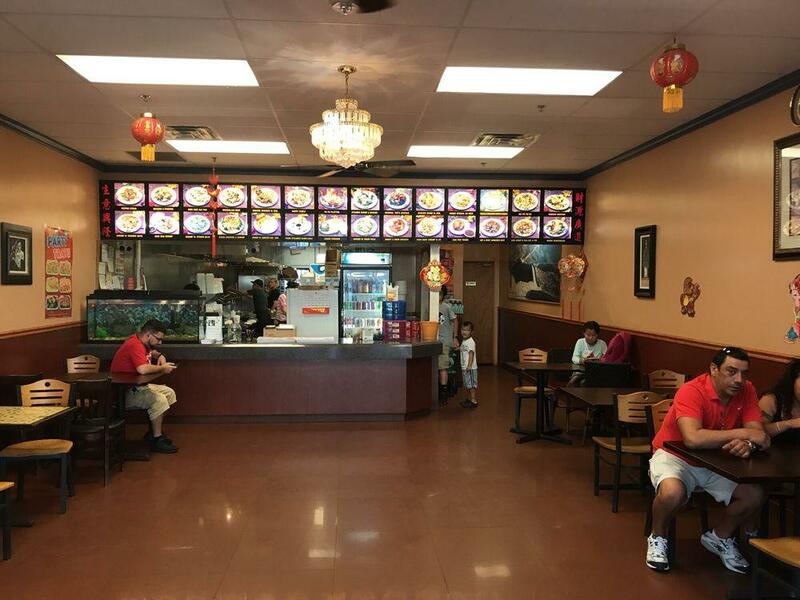 If you look through the visitors' comments, the staff is hospitable at China King. Prompt service is something clients agree upon here. You may be impressed with attractive prices at this place. Customers leave reviews on Yelp where they rate this spot 4. We tried to order 2 times over the phone. 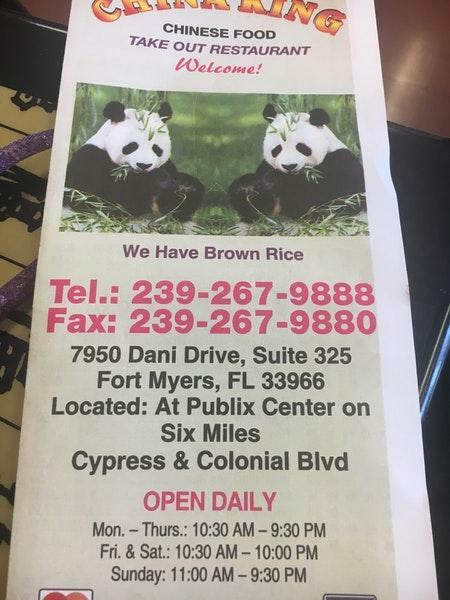 The first time he blatantly lied and said this wasnt a chinease restuarant.We called the same number from a different phone and he said it was, but we said the wrong name. He corrected us and hung up the phone. 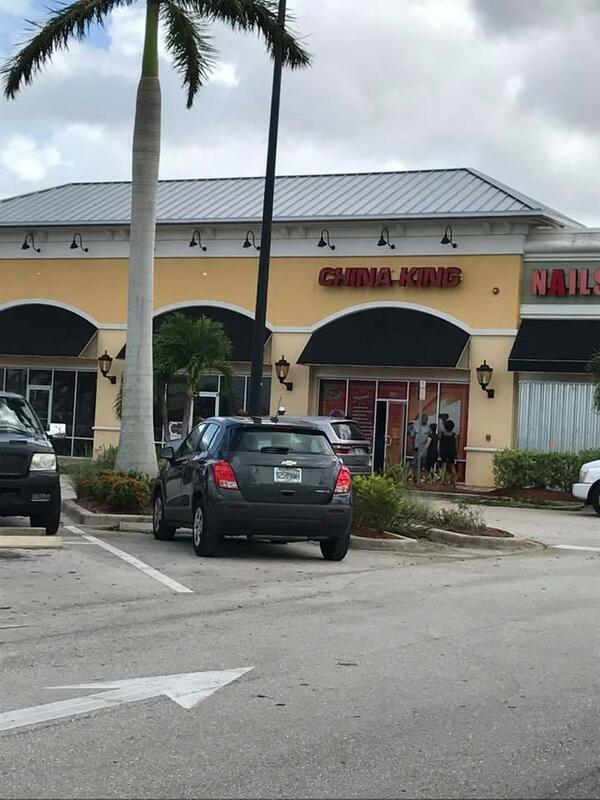 If this is the effort put into picking up the phone, I cant imagine the effort being put into the food. Up until tonight I was a regular at this restaurant. It was convenient and quick to grab dinner. However, their pricing is not consistent. The last couple of times the bill had increased and when questioned the answer is always "New Menu". Tonight I ordered online so I could see the price before getting there. The bill there was almost $3.00 more. When I questioned it, the answer I got was "We have a new menu and the one online is old so the prices are not right". I have also noticed that you do not get an itemized receipt just the credit card slip.